Stone Sour is an American heavy metal band from Des Moines, Iowa. Since 2006, the group has been composed of Corey Taylor (lead vocals), Jim Root (lead guitar, backing vocals), Josh Rand, (rhythm guitar), Shawn Economaki (bass guitar) and Roy Mayorga (drums, percussion). Original drummer Joel Ekman left the group in 2006. The group formed in 1992, performing for 5 years, before going on hiatus in 1997 when Taylor and Root joined Slipknot. The group reunited in 2002. 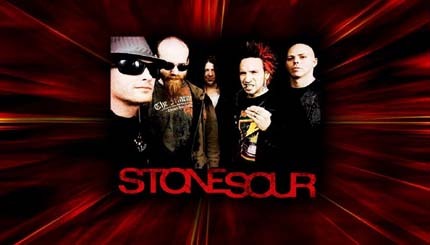 To date, Stone Sour have released two studio albums Stone Sour (2002); Come What(ever) May (2006) with their latest album, titled Audio Secrecy, to be released in 2010. They released a digital live album, Live in Moscow, in 2007.